Update: All places have been filled for The Thistle Bindery‘s bookbinding course at GOHD Books. Stay tuned for the next session! GOHD Books is proud to host our very first charity bookbinding workshop! 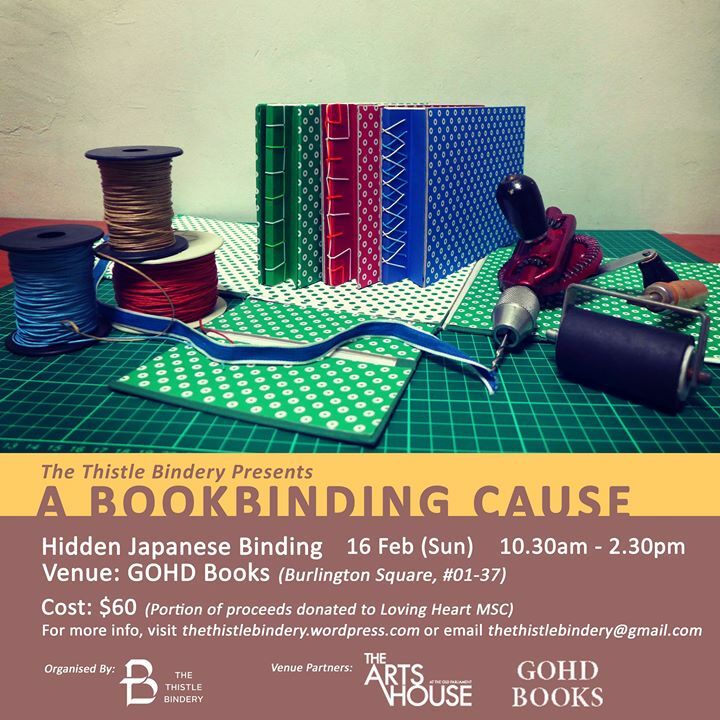 On Sunday, 16 Feb 2014, The Thistle Bindery will be conducting a 4-hour course on Hidden Japanese Stab Binding in our store. At the end of the workshop, participants will take home their very own hand-bound notebook and will be equipped with the skills to bind a book whenever they want. The best part? Proceeds go to Loving Heart Multi-Service Centre.